Cody Lusk is president and CEO of the American International Automobile Dealers Association (AIADA). Founded in 1970, AIADA represents all of the American automobile dealerships that sell and service international nameplate brands. These retailers have a positive economic impact both nationally and in the local communities they serve, providing more than 550,000 American jobs. 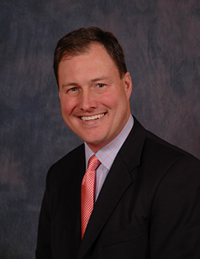 Mr. Lusk's extensive background in trade and other international auto-related issues, combined with his experience at both the Administration and Congressional levels make him uniquely qualified to lead AIADA. From 2002-2006, Mr. Lusk served as chief of staff to Rep. Sam Johnson (R-Texas-03), a senior member of the House Ways and Means Committee and a subcommittee chairman on the Education and Workforce Committee. As chief of staff, Lusk served as principal advisor and strategist to the Congressman, managing a broad range of legislative issues, including taxes, international trade, and health care. Prior to his tenure with Rep. Johnson, Lusk was an appointee of the Bush Administration, serving under Secretary of Commerce Don Evans. In this role, he served as liaison between Capitol Hill and the Secretary of Commerce on all international trade-related issues. Before joining the Department of Commerce, Lusk spent 10 years as a staff member of AIADA, serving as director of legislative affairs from 1995-2001 where he was responsible for reaching out to members of Congress and other federal agencies on behalf of international nameplate auto dealers. He has worked on several campaigns, including Bush/Cheney 2000, and early in his career served at the Republican National Committee and National Republican Congressional Committee. Mr. Lusk holds a B.A. in Economics from the University of Texas, Austin. He lives in Arlington, Va. with his wife, Michelle, and their three young sons.